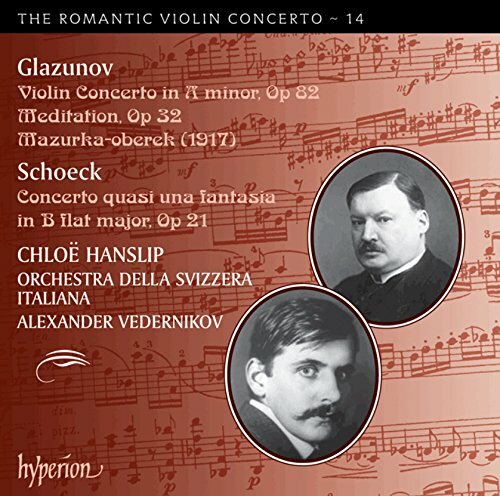 Coupled with the near-contemporaneous Glazunov Concerto, Chloë Hanslip’s 2013 recording is the most polished and delicate version yet, but the excitement and energy of the Swiss Youth Symphony Orchestra under Andreas Delfs and Bettina Boller from 1992 has an undeniable and immediate virtue all of its own. The coupling with Delfs’ arrangement of the best of Penthesilea as a half-hour Suite adds to the attractiveness of the Claves release. The recording with Ulf Hoelscher and the English Chamber Orchestra under Howard Griffiths (Novalis) is also easily recommended. 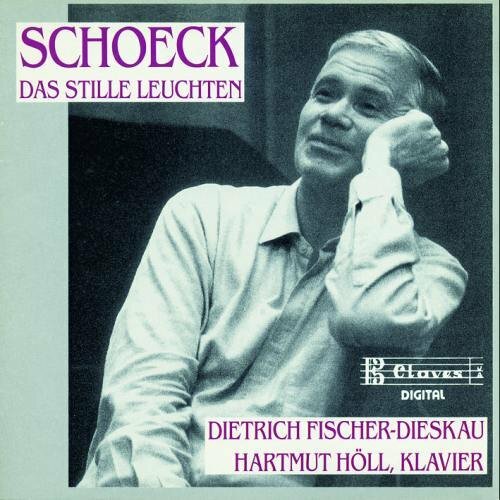 Among the Schoeck song cycles Fischer-Dieskau recorded for Claves, Das Stille Leuchten might be the trickiest to get your hands on for now, but it’s also the most satisfying and worth tracking down used or as a download. That said, and although one might think that Fischer-Dieskau should have recorded something near-definitive, he did had a habit of being a touch sloppy in contemporary music and a new recording by someone like Christopher Maltman or Günther Groissböck would be greatly welcome. tone that the provincial Lübeck orchestra performs movingly. Jun Mo Yang—a Renata Tebaldi Competition winner—gives a fine performance in idiomatic German. Gerhaher is the perfect interpreter of the Notturno, but he is let down—just a little—by the Rosamunde Quartet which, shortly before its dissolution, wasn’t able to give absolutely all that which would have been necessary to make the most out of the demanding score. The Minguet Quartet has the edge here, which brings the two recordings out about even. 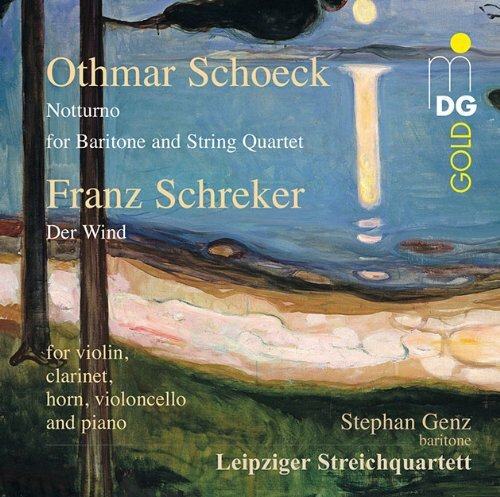 But it’s the Leipzig String Quartet that really gets it, and on their MDG recording they lift the fine Stephan Genz to the top: This is how Notturno is supposed to sound! 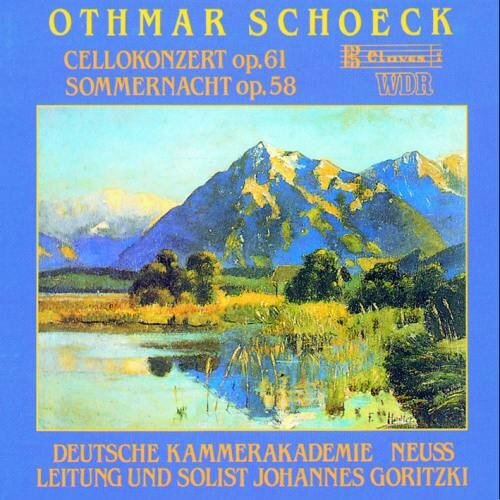 Poltéra and Drake transcribed the songs for cello and piano themselves, a practice that Schoeck himself took to frequently, especially when performing with Stefi Geyer at a time when he had little original material for violin and piano. So long as the Minguet Quartet’s recording (MDG 603 0665) isn’t reissued or a new one made, this is the only way to hear one of Schoeck’s marvelous string quartets—and the coupling with the happy surprise of the Fritz Brun work makes this a very attractive alternative, indeed.